I’ll be dissecting Joanne song by song every day until November, which will bring a monster month of daily music and comics content with it. “Million Reasons” isn’t a country song or a pop song. It’s not an anything song. It’s simply a great song. It imagines a world where Lady Gaga could topple Adele from her throne as world’s most-signature balladeer if she choose, not only because she has the pipes for it, but because she’s a damn good songwriter. 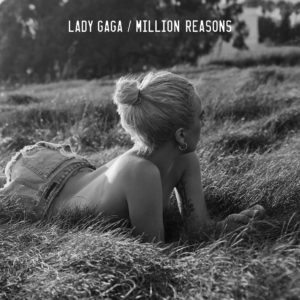 Welcome to “A Million Reasons,” a ballad so intent on communicating its hook that it repeats it three to five times in each verse, frequently emphasized with a single plain harmony part. I was singing along with the harmony before I even hit the first chorus. It’s dead-simple I vi IV V chord progression is as common as rain, and inverts itself for the chorus. It’s mostly built on one piano and one acoustic guitar, to the point that I hardly remember if any other instruments enter. It’s relatable – not about dope, but about just wanting to trust. This is all her, and it’s great. It is, without question, amongst Lady Gaga’s chief achievements in songwriting, if not her best.